Dual Cassette Karaoke machine in like new condition , used 2 times at home.Comes with 25 cassette Tapes, some not opened, country and gospel. Includes book and Microphone. 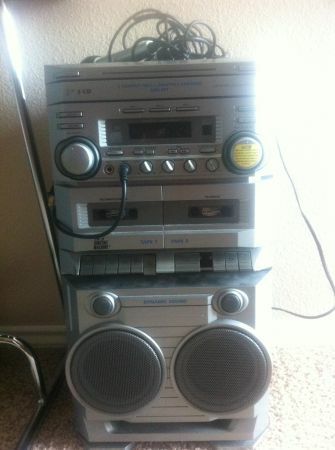 Optimus Karaoke Machine with dual cassette players and cd. 2 microphones included with remote.Asking 30 OBO. Please email if there are any questions. All sales final.